Upon graduating from college with a respectable GPA – one I managed to uphold while juggling the responsibilities of a college athlete - I thought I was ready to conquer the “real world." I thought I had it all figured out. Throughout the twenty or so years of my life prior to graduation, I managed to excel in school as well as on the soccer field and in the hockey rink. So, I assumed that based on my hard work (and yes, maybe even some good luck and genes), I should know everything there is to know about success in the real world, right? Wrong. It wasn’t until I entered this exciting (and sometimes intense) world of working professionals and huge corporations that I realized hard work alone is not always enough, and that I quickly needed to learn some important industry lessons that have EVERYTHING to do with the success of an individual corporation. And, to be honest, most of the information I absorbed and the practices I witnessed on a daily basis had never once been addressed or discussed in any of my college classrooms. So, how are today’s young professionals supposed to enter a world they know nothing about and expect to succeed? Simple. Everyone should have a year at ESPN. It was here I learned invaluable lessons and skill sets that have shaped and will continue to shape my career going forward. It was at ESPN where I was, for the first time, able to identify my own three major belief statements have helped me market myself as a young professional. At my small Liberal Arts College, my professors and the books they deemed “required readings” on their syllabi did not teach the importance of this practice. We were constantly told to reach for the stars and set extremely high goals for ourselves. This is great advice... If you’re training for a marathon or trying to lose weight. But what happens when a company starts making promises they eventually realize cannot be kept? It’s simple - they lose money and burn bridges. 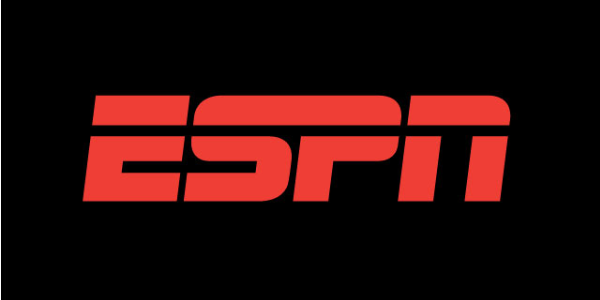 ESPN did not become the multi-billion dollar powerhouse corporation that it is today by making empty promises and setting unattainable goals. It was here that I learned the importance of recognizing and acknowledging the fact that some things cannot be controlled (especially when it comes to live television, professional sports and other forms of media), and therefore, to not make promises to the hundreds (and thousands) of companies who are investing their money into your corporation if you cannot guarantee and deliver. While ESPN can guarantee X company their product will have a 30 second commercial spot if the NBA Playoffs reaches Game 7, they do not promise there will actually be a Game 7. So, what makes an advertiser continue to make that gamble and pay huge amounts of money specifically intended for a certain game, despite the chance that that game may not actually ever be played? Under-promising and over-delivering. While working at ESPN, this exact scenario played out. When the NBA Finals ended short of a seventh game, we were forced to inform numerous advertisers that their already-paid-for commercial spots intended to run during that seventh game, would not, in fact, be running. And let me tell you, these commercial spots were NOT cheap. As a result, we found a solution to this issue by splitting up that one commercial unit and turning it into multiple spots and, in some cases, crediting the advertiser additional units. In our personal lives, we all know that it is common courtesy to return calls and respond to e-mails on a timely basis. We also all know that we do not always do so as quickly as we should (or even at all). And most of the time, a delayed response to friends and families goes without consequence (and depending who you are, it might even be expected of you). But this does not fly in the corporate world. Delayed responses and poor communication can often lead to loss of revenue and strained business relationships. In the case of ESPN, the relationships at stake were those the company had taken decades to build and develop with other multi-million/billion dollar companies. While a 24-hour turn around/response period was the “official” policy in my office, it seemed as though we all wanted to exceed expectations and follow an unspoken, more customer-centric policy. We strove to get e-mails, phone calls, and specific requests completed in a matter of hours – no matter how crazy the day’s workload was. In adopting this modus operandi, I learned that the companies who are spending the millions of dollars to advertise their products on the ESPN networks were not the only beneficiaries of effective communication and quick response time. My department worked with a number of other departments within ESPN and quick responses and clear communication between our departments was imperative for things to operate smoothly throughout all departments. Internal communication was equally as important as external communication. Let’s face it: Time = money and money is what fuels a business. While I know this final point may have been touched on in the previous two, please bear with me. We have all heard the phrase “the customer is always right.” This theory may be true, but it is also a lot less black and white when you are dealing with hundreds of millions of dollars rather than when you are facing a he said/she said case between a server and a restaurant patron. Every business, no matter how big or small, wants to ensure customer satisfaction in order to fulfill their main objective of bringing in revenue. My experience at ESPN gave me an entirely different perspective on what “Customer Satisfaction” meant and how it can be realized. ESPN taught me the art and power of negotiation. At ESPN, I learned “100% Satisfaction” does not always mean giving everyone everything they want exactly when they want it. It means learning to juggle multiple demands and responsibilities from multiple clients while making each one feel as though they are your number one priority and making sure each of their requests are heard and each of their questions are answered. It’s about maintaining a poker face during the chaotic upfront season - a season during which proposals and revisions not only take over every inch of your desk, but also find a way to creep into your dreams each night. It’s about remaining calm when there is an MLB game that is suddenly rained out. It’s about finding solutions during a NBA or NFL lockout for commercial units specifically meant to air during that programming. It’s about putting in the hours required to complete what needs to be done. It’s about doing whatever needs to be done to satisfy all of your advertisers and accounts… Oops, I mean, to appease that number one client. My year at ESPN changed me for the better. I’m grateful for the lessons learned that were not taught in college and feel even more confident in my abilities to succeed in business. Thank you ESPN for the working education I needed. Britney McKenna is a recent grad who is as passionate about her career as she is sports. Click here and contact her on LinkedIn.